Jason Robertson had made the Yankees' 40-man roster. By June 1995, though, he wasn't hitting well enough to stay there and he knew it, according to The New London Day. But when the Yankees took him off the 40-man that month and placed him on waivers, he took that as an invitation to just keep going and do better. "I can handle it in two ways," Robertson told The Day after being placed on waivers, "and one of them is to work hard in either this organization or if I get picked up by somebody else." Robertson was in his seventh professional season that year. He had yet to see AAA. He ended up playing just one more year. He never made the majors. Robertson's career began in 1989, taken by the Yankees in the third round of the draft out of Hillcrest High School in Illinois. At Hillcrest, Robertson showed his hitting - and his patience. He hit .393 in his first 14 games, drawing 20 walks, according to The Chicago Tribune. "At the beginning of the season, I was being pitched around a lot," Robertson told The Tribune. "But I'm trying to be more selective and look for a pitch I can swing at." With the Yankees, Robertson started in the rookie Gulf Coast League. He hit .285 in 58 games. 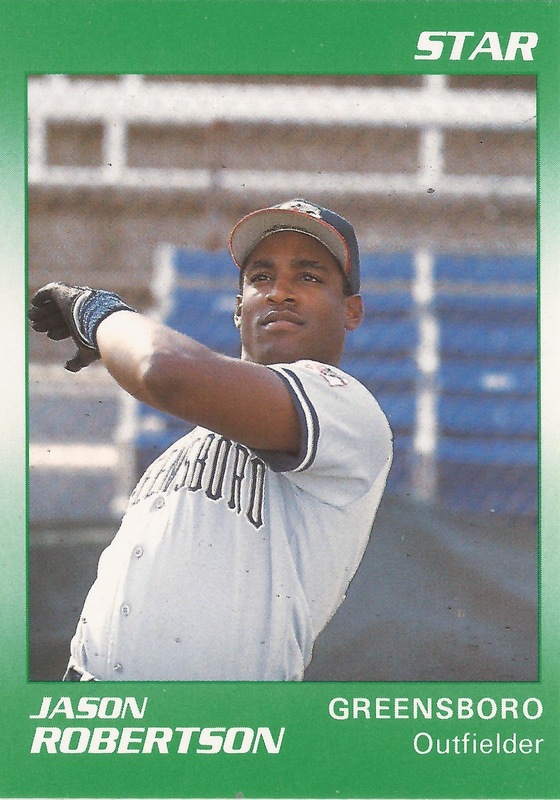 Robertson then moved to single-A Greensboro in 1990, then high-A Prince William in 1991. He split time in 1992 between Prince William and AA Albany-Colonie. In 55 games at AA that year, he hit just .216. He then played the next three seasons at AA for the Yankees. In August 1993, Robertson helped Albany-Colonie make a run to the playoffs. He told The Schenectady Daily Gazette the difficulty was not to take teams for granted. "I think that's the hardest part," Robertson told The Daily Gazette. "When you're ahead of teams like that, you go out there thinking that you can just show up." Robertson hit just .228 in 1993, then .218 in 1994. He had four hits in an August 1994 game, then hit two home runs in an early September game. In 1995 at Norwich, he ended up playing the whole season there. He also ended with a .276 average. It was his final season in the Yankees system. He spent 1996 in the Marlins system. He played most of the year at AA Portland. He also got his only 11 games at AAA in Charlotte. It was his final season as a pro.